Wild Horses (UK) Wild Horses was formed in the summer of 1978 by ex-Thin Lizzy guitarist Brian Robertson and ex-Rainbow bassist Jimmy Bain. At an early stage the line-up featured former Stone The Crows and Paul McCartney's Wings guitarist Jimmy McCulloch and former Small Faces drummer Kenney Jones, but eventually stabilized with the addition of drummer Clive Edwards (ex-Pat Travers, Uli Jon Roth) and guitarist/keyboardist Neil Carter (ex-Wilder, Gilbert O'Sullivan). Wild Horses was formed in the summer of 1978 by ex-Thin Lizzy guitarist Brian Robertson and ex-Rainbow bassist Jimmy Bain. At an early stage the line-up featured former Stone The Crows and Paul McCartney's Wings guitarist Jimmy McCulloch and former Small Faces drummer Kenney Jones, but eventually stabilized with the addition of drummer Clive Edwards (ex-Pat Travers, Uli Jon Roth) and guitarist/keyboardist Neil Carter (ex-Wilder, Gilbert O'Sullivan). This line-up recorded the Trevor Rabin-produced "The First Album", released in the spring of 1980 by EMI who signed the band after their 1979 Reading Festival appearance. Carter left the band in August 1980 after the band's UK tour with Ted Nugent in order to join UFO and later Gary Moore. His replacement was guitarist John Lockton (ex-The Next Band, Red Alert) whose first appearance was on the band's Japanese tour in the autumn of 1980 followed by the release of the "Stand Your Ground" album, co-produced with Kit Woolven, in the spring of 1981. In June 1981, Robertson and Edwards both left Wild Horses in the wake of the band's Paris Theatre show in London. Robertson teamed up with Motorhead a year later and recorded "Another Perfect Day" in 1983, before moving on to join fellow Scotsman Frankie Miller on the "Dancing In The Rain" album in 1986. Edwards continued with a number of different acts, including Bernie Marsden's S.O.S., Grand Prix, and Lionheart. Bain assembled a new Wild Horses line-up featuring Lockton, former Lautrec stepfather and son team, Reuben (vocals) and Laurence Archer (guitar), and "The Def Leppard E.P." credited drummer Frank Noon. The Archers and Noon left only months later and went on to form their own band, Stampede, and Wild Horses ceased to exist, with Bain joining his former Rainbow bandmate Ronnie James Dio in Dio, while Lockton became a member of German hard rockers Victory. Wild Horses members Laurence Archer and Clive Edwards were part of the UFO line-up that recorded the "High Stakes & Dangerous Men" and "Lights Out In Tokyo" albums in the early 1990s, before spending time in Medicine Head. Both "The First Album" and "Stand Your Ground" were re-issued on CD in Japan and Europe in the 1990s; the latest set of re-issues came on 26 May 2009 through UK-based Krescendo Records. Wild Horses was formed by former Kingdom Come member James Kottak (drums) and ex-King Kobra front man Johnny Edwards, the two had previously worked together in Buster Brown and a revamped Montrose. A few members came and went before they added another Kingdom Come alumni in Rick Steier. A major label contract was handed to the band almost immediately, but at the same time Edwards was given the opportunity to front the legendary Foreigner and he jumped at the chance. John Levesque was brought in as the new vocalist with Jeff Pilson of Dokken handling the bass duties (although the album listed Chris Lester as the group's official bassist). The radio-friendly melodic rock album got rave reviews, but was ignored by the record buying public and the band quickly folded. 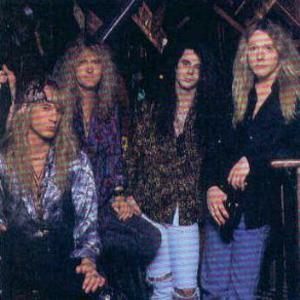 Kottak and Steier resurfaced in Warrant, with Kottak departing in 1996 and Steier in 2000. Both would show up together in a band called Krunk before Kottak rose to stardom as a member of the Scorpions.